Nicole Shahinian-Simpson and Akuna Mattata put their name at the top of the leader board to win the 2016 Evergreen Invitational. Photo Chicago Equestrian. Bristol, WI – September 11, 2016 - The sixth Evergreen Invitational took place M.K. Pritzker’s beautiful Evergreen Farm in Bristol, Wisconsin, to benefit the Northwestern Memorial Hospital. Founded by M.K. 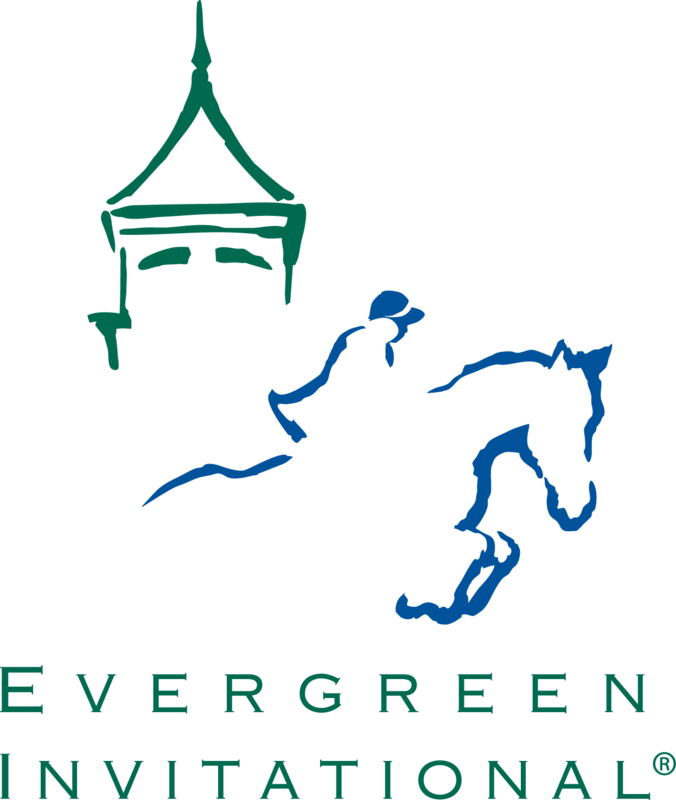 Pritzker and hosted in partnership with The Woman’s Board of Northwestern Memorial Hospital, the Evergreen Invitational has raised over $6 million to date for historically underfunded programs and research for women’s health services throughout the Chicago area. The gorgeous Evergreen Farm. Photo Chicago Equestrian. 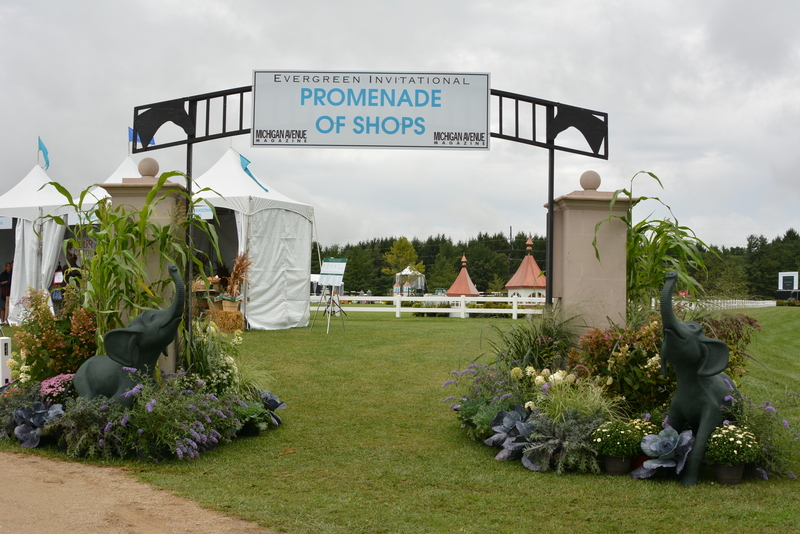 The event is first class from beginning to end for both spectators and exhibitors. 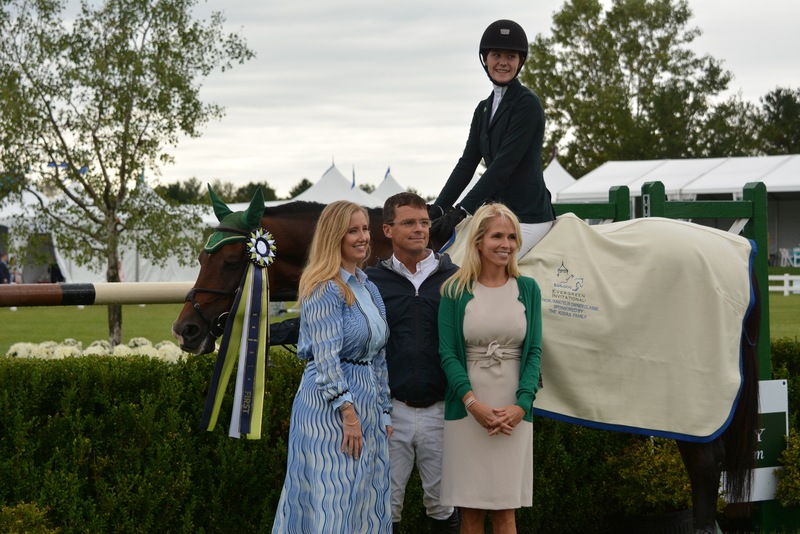 The feature event, The Evergreen Invitational Grand Prix, presented by the Wood-Prince Family, brought 21 riders from across the country to compete for $75,000 in prize money. Seven riders made it around the Ken Krome designed grass course, fault free, to move into the jump off. 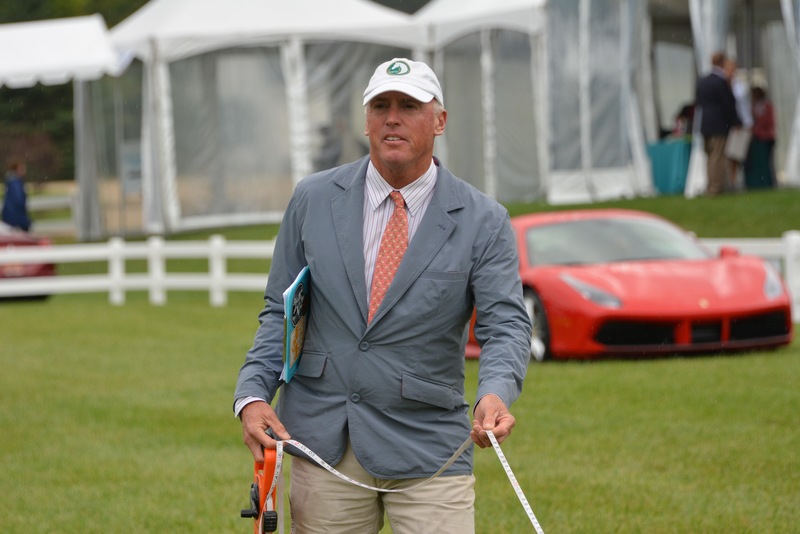 Krome, an FEI course designer, pays attention to the detail and decoration of the track, making it attractive and inviting for both spectators and horses. Nicole Shahinian-Simpson and Akuna Mattata, owned by Silver Raven Farms, Malibu, California, conquered Krome’s challenges to earn the top prize with the fastest double clear round of the day. It was David Jennings of Franklin, Tennessee, and Blue Moon 22 who set the pace in the jump off with a clean and fast round and a time of 41.995. Angel Karolyi and Indiana 127 were next to try to catch Jennings’ fast time, stopping the clock at 40.635 but pulling an unfortunate rail in the process. Nicole Shahinian-Simpson of Jupiter, Florida, and Akuna Mattata were up, galloping faster than the rest in 40.177 and fault free for the lead. Haylie Rolfe with Caretina II, Derek Braun and Lacarolus and Colin Syqua with Adventure E, all tried to capture the leader but sacrificed rails dropping while trying to catch her. Shahinian-Simpson had a second ride, April Moon, but could not outdo her performance on Akuna Mattata, the winner. Akuna Mattata is one of a set of Holsteiner triplets, using surrogate mares, out of Shahinian-Simpson’s mare SRF Drangonfly, who she won the 2008 Olympic Trials on. She has raised the triplets herself, with this win being extra special as the first win for the eight-year-olds. April Moon, another one of the sisters, finished in 7th. “This is just an amazing event with all the work they put into it and the amazing sponsors,” boasted Shahinian-Simpson. “It’s a special event and you’re wanted and welcomed from the way they provide for the grooms and for us and the attendance, really makes it really special. It was great to give these younger horses some mileage to see how they react to a big event like this." 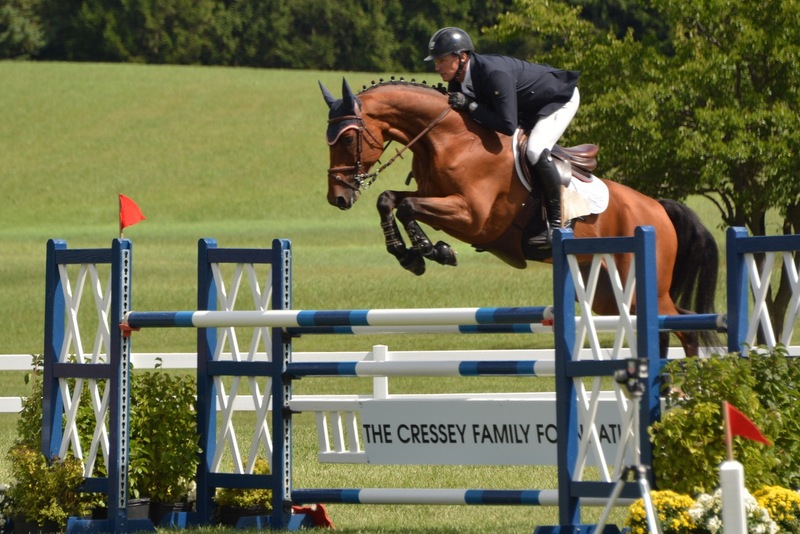 David Jennings and Blue Moon 22 rode to the second place spot. Photo Chicago Equestrian. Caelinn Leahy and Caribe won the SJHOF Junior/Amateur Jumper Classic. Photo Chicago Equestrian. 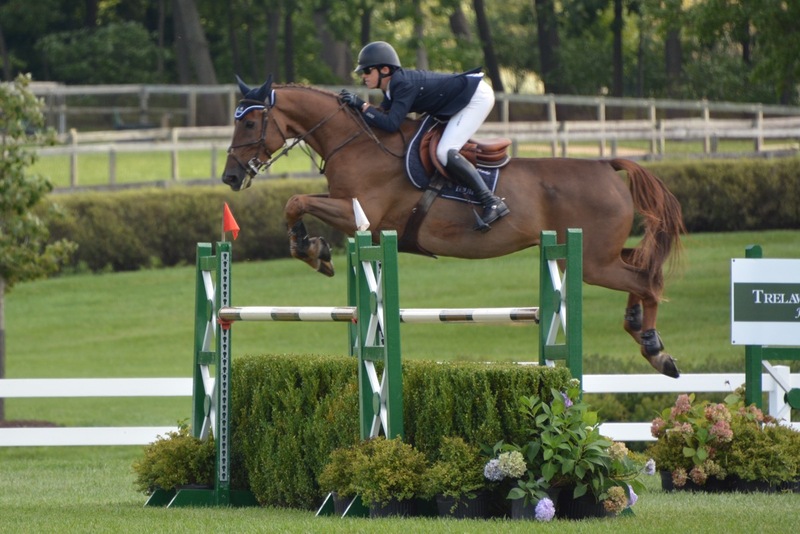 The morning featured the $25,000 Show Jumping Hall of Fame Junior/Amateur Owner Classic sponsored by the Kovas Family. 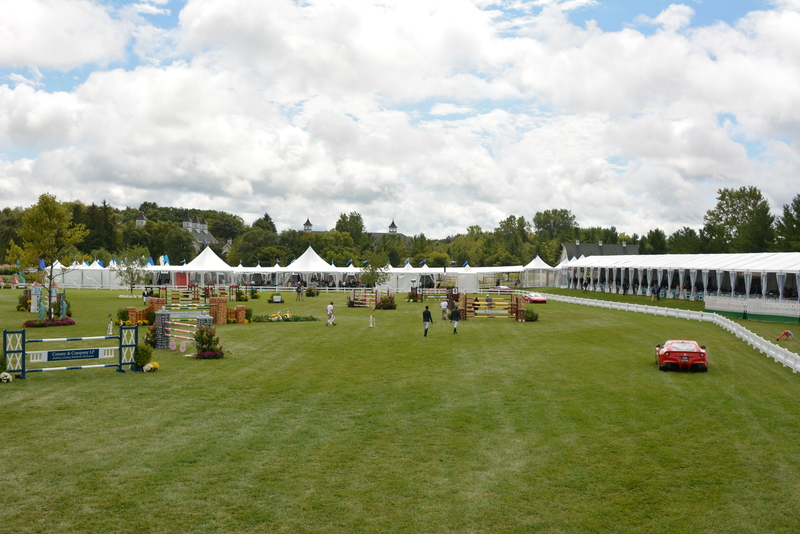 A field of 15 riders braved the scattered showers for the chance to ride on the gorgeous field. Five horse and rider combinations left all the jumps up, earning the chance to put their name at the top of the leader board. Annabella Sanchez and Zanta Fee T Hofterruckel finished in second in the SJHOF Junior/Amateur Classic. Photo Chicago Equestrian. Annabella Sanchez,15, of Glencoe, Illinois, qualified both her rides for the jump off along with Caelinn Leahy and Caribe, Emma Sargent and Didgeridoo and Tara Gallagher and Brightly. Sanchez had two shots to gallop to the fastest time but Leahy, 14, of Maple Park, Illinois, had the luck of the draw to go last and the advantage to know what she had to beat. Known for her fast jump offs like trainer Steve Schaefer, Leahy put the pedal to the metal to take the lead by over 2 ½ seconds for the win. 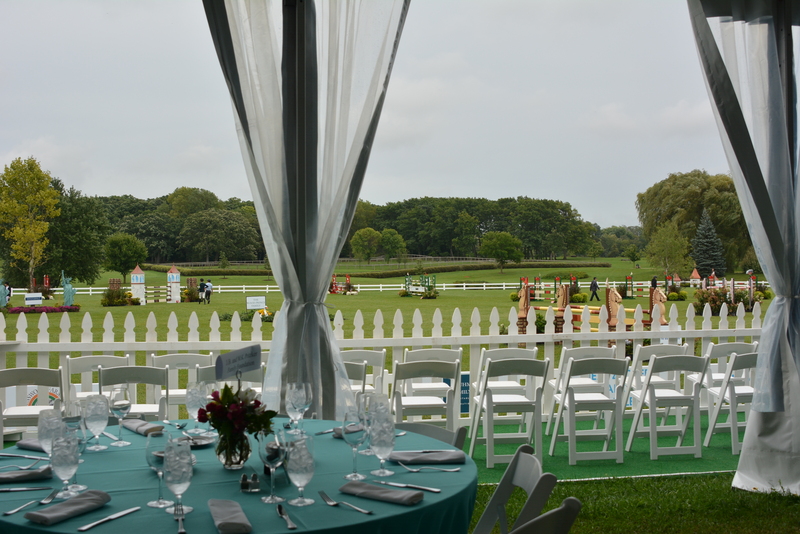 VIP ticket holders enjoy a fantastic brunch while enjoying the excitement of the Grand Prix. Photo Chicago Equestrian. 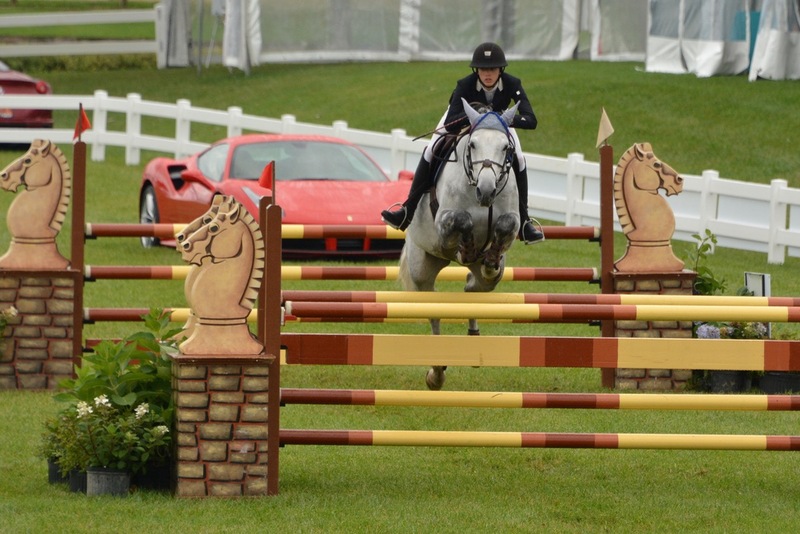 Leahy has eased her way into the Grand Prix arenas this year, riding in many of the 1.30m Grand Prix classes offered now. She has two other jumpers she rides, Esquilino Bay and Tztargazer and also just took over her mother’s horse, Sonas Douglas. Sanchez, who rides with Katie Kappler, finished in second on Zanta Fee T Hofterruckel and third on Zersina. VIP ticket holders are treated to the Promenade of Shops featuring high-end clothiers, gourmet food purveyors and other upscale merchants, valet parking and an exquisite gourmet meal with cocktails. It is the most sought after social ticket in the Chicago area. Since its inception, funds raised by the Evergreen Invitational have been granted to support 63 projects and programs bringing new, innovative healthcare ideas to Northwestern Memorial Healthcare.